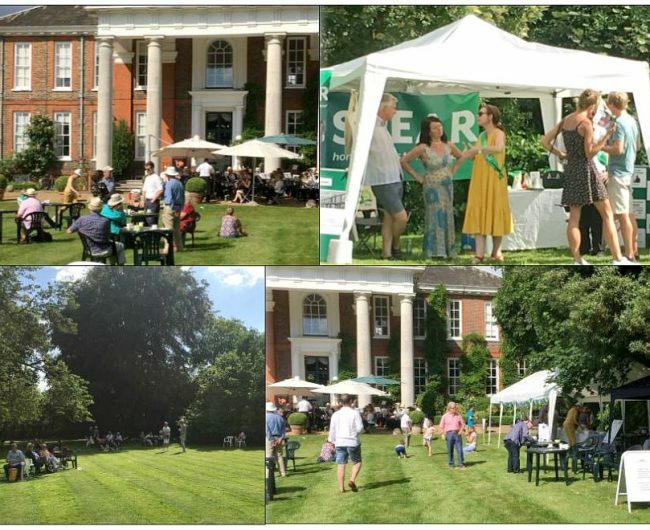 SPEAR would like to invite you to a wonderful Summer’s afternoon event in the magnificent grounds of Trumpeters House for an Art Fair and Garden Party on Sunday 23rd June from 2pm – 5.30pm. 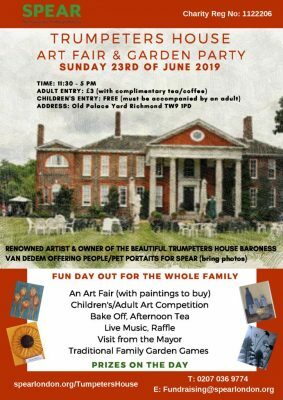 It will be a fantastic day out for the whole family with a range of activities on the day as well as glorious art to buy. There will be plenty to fill your afternoon. An opportunity to admire and buy donations from local artists and collectors. 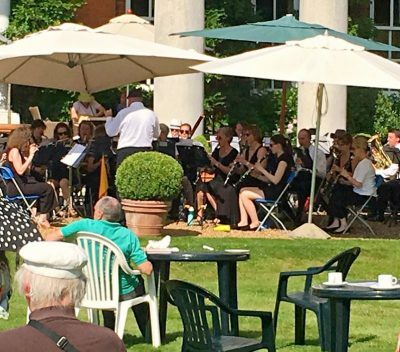 All the while you will be entertained by a variety of local musicians playing live music and who will make the afternoon go with a swing. There will be art competitions for young and not so young alike. if you have aspirations at joining Prue and Paul in the GBBO tent, why not enter a masterpiece in our Bake Off! You can enjoy every slice knowing its homemade and that you will be helping support local homelessness. 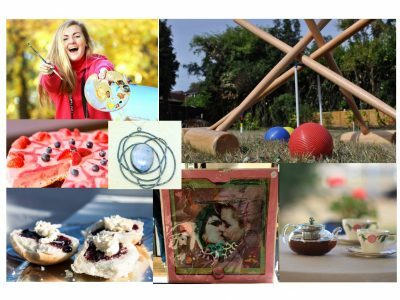 In addition to the stunningly beautiful art, there will be trad itional summer games for the whole family to enjoy and play. Also you can stay refreshed with hot and cold drinks, scones and cream. Buses are available from Twickenham which is the R70 or trains from both Strawberry Hill and Twickenham train stations. From Richmond train station it is a 10 minute walk to Trumpeters House.